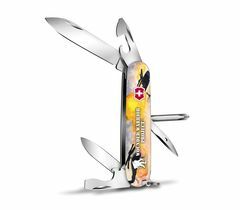 As a continuation of our partnership with Wounded Warrior Project® (WWP), Victorinox Swiss Army wanted to extend the program this year to allow warriors who are not artists to collaborate on new designs. We have partnered with the United States Veterans’ Artists Alliance (USVAA) and matched each warrior with a veteran artist to translate the warriors’ stories into a design. The result? 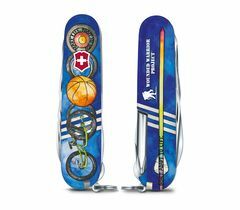 Two beautiful Tinker Swiss Army Knives with meaningful artwork and that support a great cause. 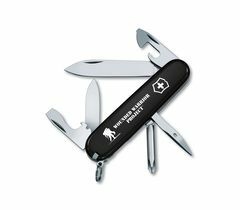 For every WWP Swiss Army Knife sold between May 20, 2016 and June 30, 2019, Victorinox Swiss Army, Inc. will donate 5% of the manufacturer’s suggested retail price directly to WWP. 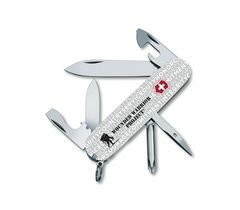 Victorinox Swiss Army is also donating $10,000 to the USVAA to support Veteran Artists. 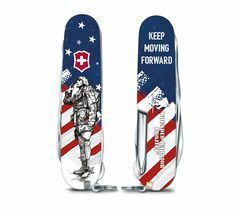 Donna Pratt, Wounded Warrior, SGT U.S. Army, Retired, was partnered with Veteran Artist Jamie Peterson, a member of the USVAA, to translate her story onto a knife design. Jamie is a United States Air Force Academy Grad (’98) and served in the Active Duty Air Force. 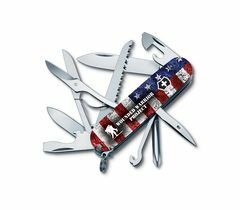 Jeffrey Adams, Wounded Warrior, 1LT U.S. Army National Guard, Retired, was partnered with Veteran Artist Trevor Denham, a member of the USVAA, to translate her story onto a knife design. Trevor Denham served as CPL in the United States Marine Corps 0311. "I don't adapt to life. I make life adapt to me." Donna’s Knife depicts a story of her recovery. After sustaining multiple injuries during her time in Iraq, Donna began to feel hopeless. Two years later a friend invited her to attend a wheelchair basketball camp and she felt reborn. It was then that she began to pursue adaptive sports. From hand biking in the WWP Soldier Ride, to basketball, to archery, of which she is a certified instructor, Donna doesn’t let her injuries slow her down. Instead of adapting to life, she makes life adapt to her. She works with WWP to share her experiences with other injured service members so they too can find how adaptive sports can change their lives. Donna and Jeffrey returned to the North American Headquarters to see their designs printed and were able to customize their own knife.